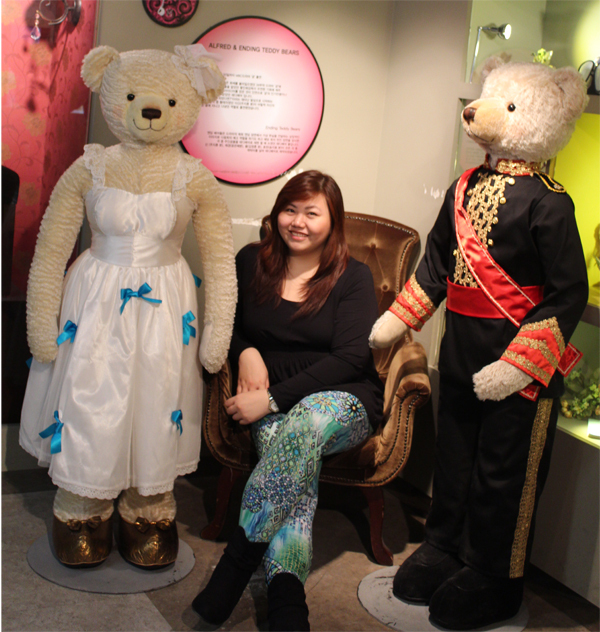 Here's my once-in-a-lifestime photo opportunity with Prince Charles and Princess Diana bears. I'm not too fond of stuffed toys because my mom gave them away when we were little to avoid sneezing allergies, but (except for the human-sized ones), these bears are adorable! 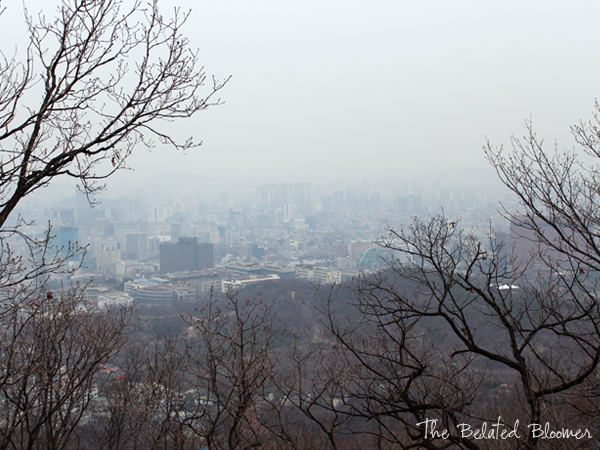 Click through for the happenings of our last day in Korea! 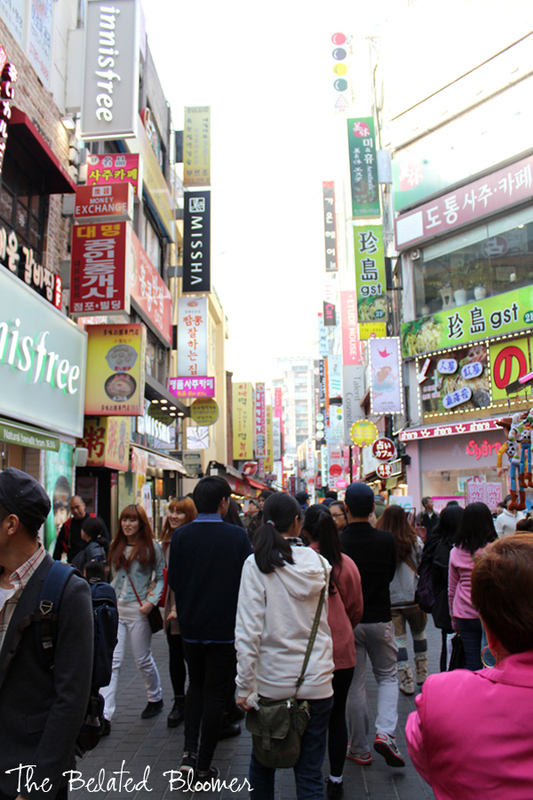 We mustn't leave Korea without shopping in Myeong-dong right? Beauty shops left and right, it's like an amusement park for the makeaholics (totally made that one up)! They even give you free samples just to entice you to enter their stores and shop your wallets hearts out. Sorry I don't have other pictures though. I was too busy shopping! LOL. 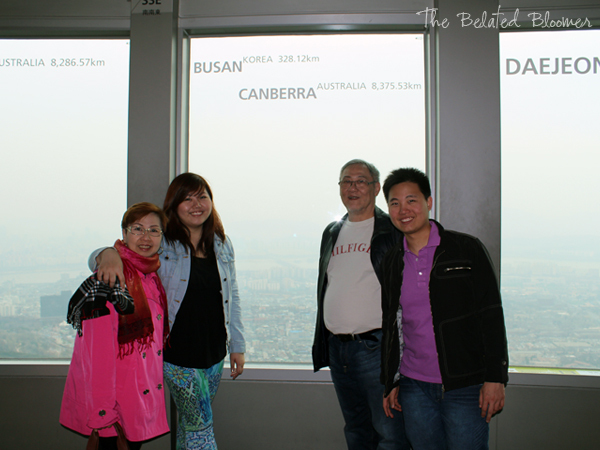 Too bad we only had a few hours to spend there before we were whisked off to our next stop. I did manage to buy a few bottles of nail polish, BB cream, facial masks and moisturizers! 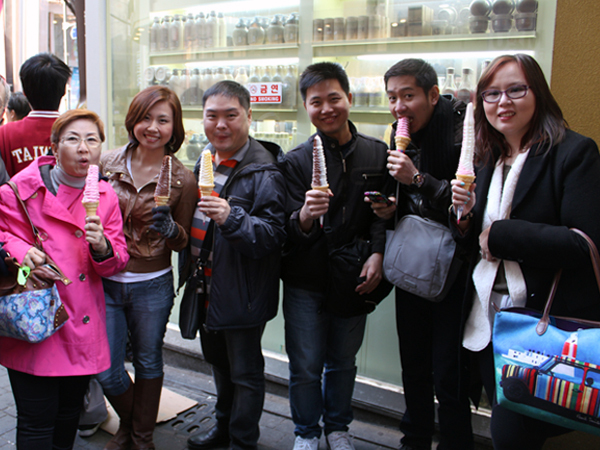 And we even got ice cream before we left Myeong-dong! Our tour guide suggested we look for this specific ice cream vendor and we had to scour the alleys, following the trail of people with yay-high treats! My legs were freezing half of the time in these leggings...but I love the print so much, I just had to wear them. Haha! 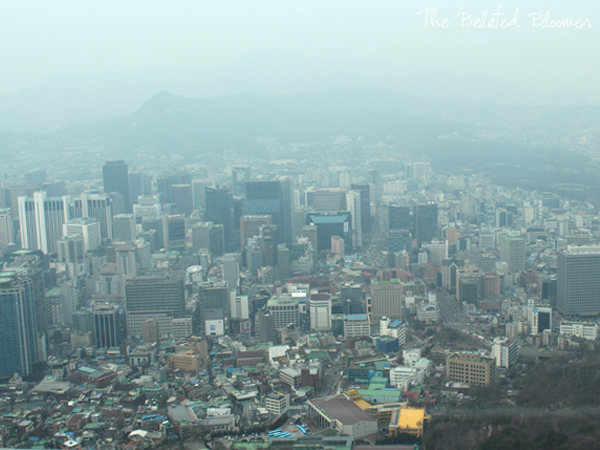 The view from the top of the road. All the cuddly teddy bears you could ever want. 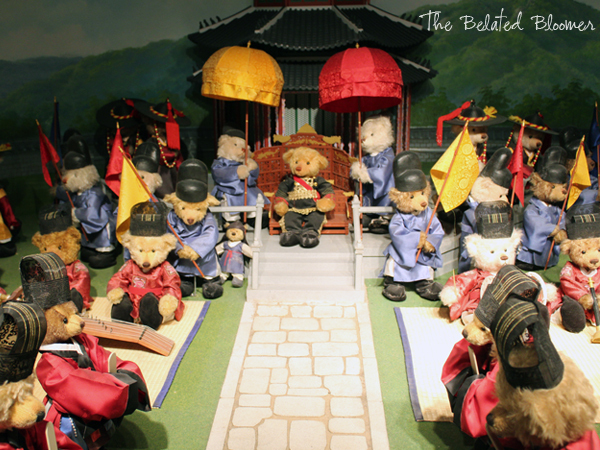 They set up these historical scenes where all the characters are teddy bears. 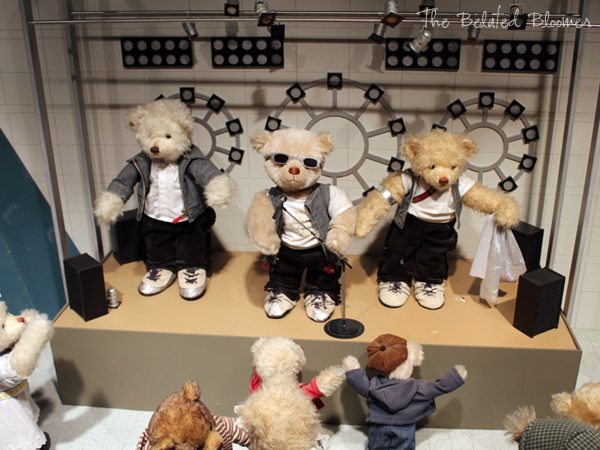 Look, they've even got Teddy K-Pop Stars! 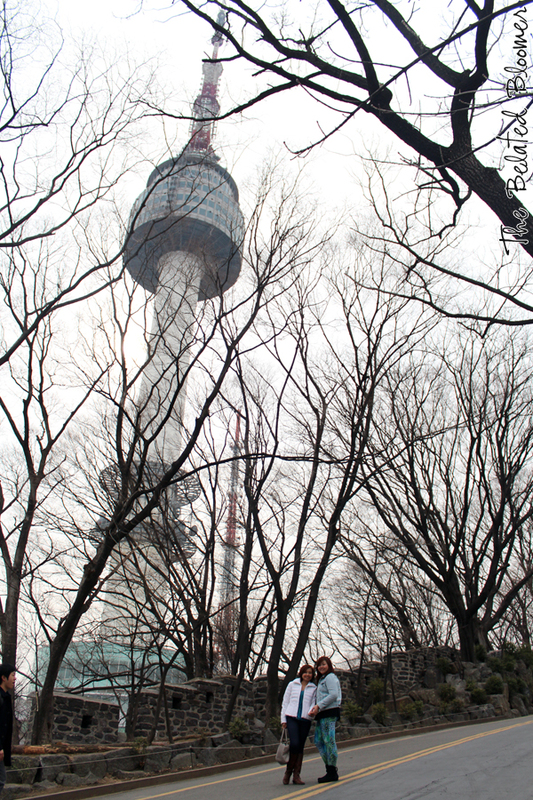 A super-speed elevator whipped us up to the top of the Seoul Tower for a view of the city. 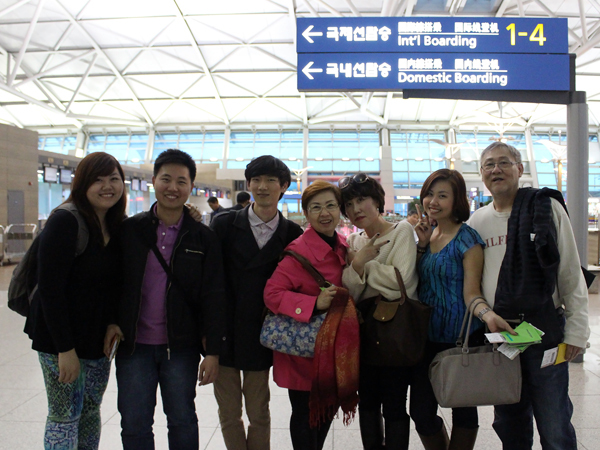 And here is the final parting shot with our tour guides before we boarded the airplane. Yes! Read my previous post about it! Haha! We didn't get to try out majority of the rides though... Too much people! 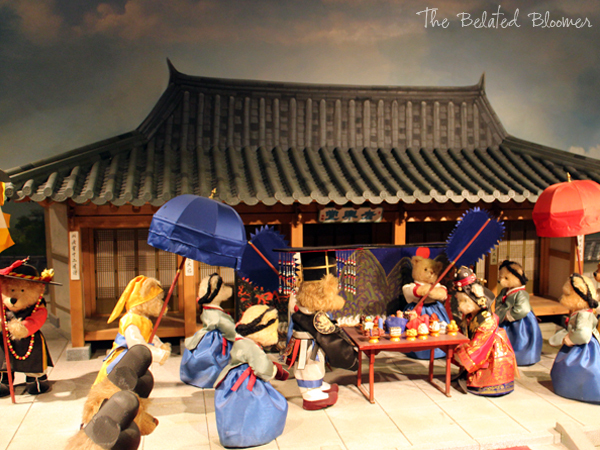 The Bear Museum!!! 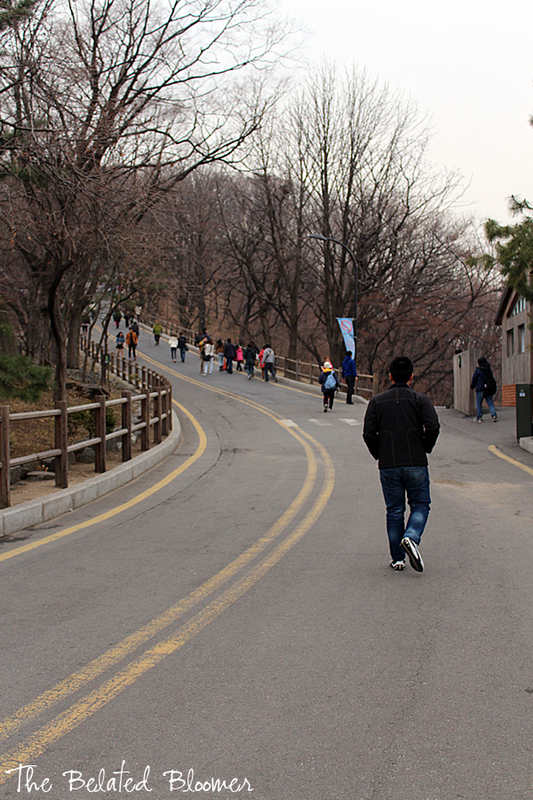 Now I suddenly remember the korean drama, Goong. 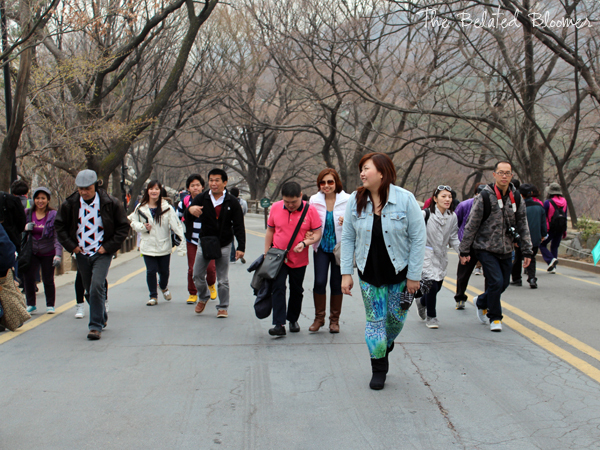 I envy you for being able to visit Korea na...it's on my bucket list of place to visit with my friends. It is more fun with friends, but I got the best of both worlds because I went with family and friends! Lovely pictures! Those pants are gorgeous. Oo nga eh. Too big! Seems like you had fun! 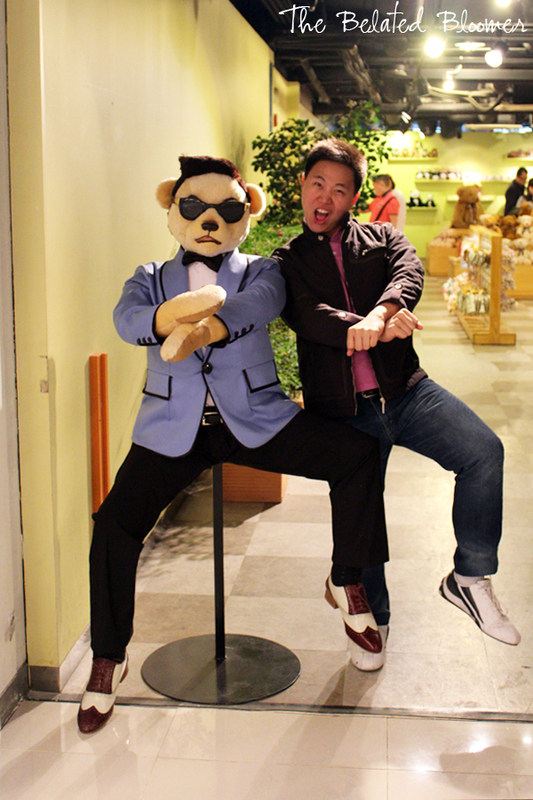 That Psy teddy bear is way too cute! 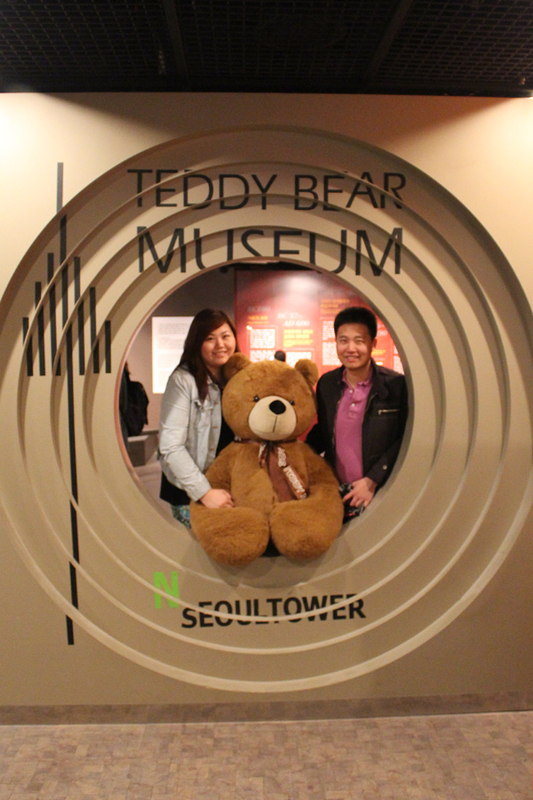 Even Psy's teddy bear is popular! Boy bears look fine. But the girl bear in your first photo scares me a little. I think it's the cut of the dress. I don't think that Lolo's Chicken and Waffles is owned by Filipinos, but I'm happy to have learned some more! LOL. I get what you mean. Huge bears can be a little creepy too. It brings out the little kids in us! Oh yes. One of the things I really enjoyed in the trip was the ice cream. Looks like so much fun! Love the first picture. cute pictures! 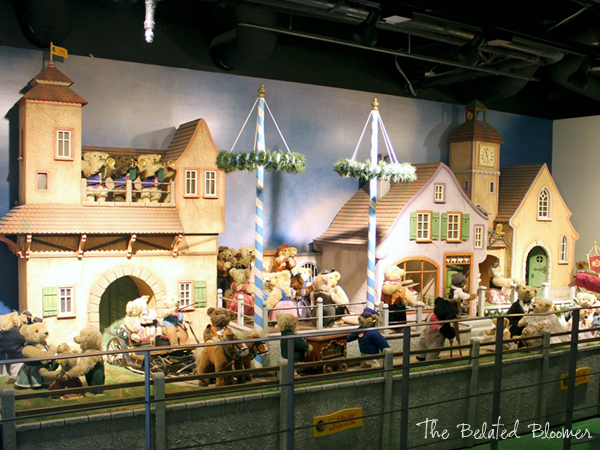 what a fun museum to go to! I know the feeling of suspense while waiting for the Visa approval. Good luck Venus! Your pictures are great and it looks like you had such a great time. 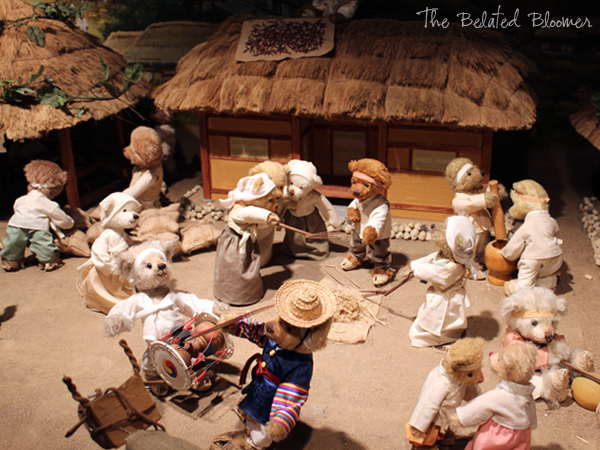 The teddy bear museum looks so cute! Plus those leggings are super cute, I love the print and the colors of it. I love your leggings, btw. You should! And thank you!